With ArtStation becoming a global art hub for Media & Entertainment, our vision is to share inspirational art and ideas with art enthusiasts from around the world. If you follow us on social media, you’ll have seen we’ve been dropping hints of an exciting new project to come in November. 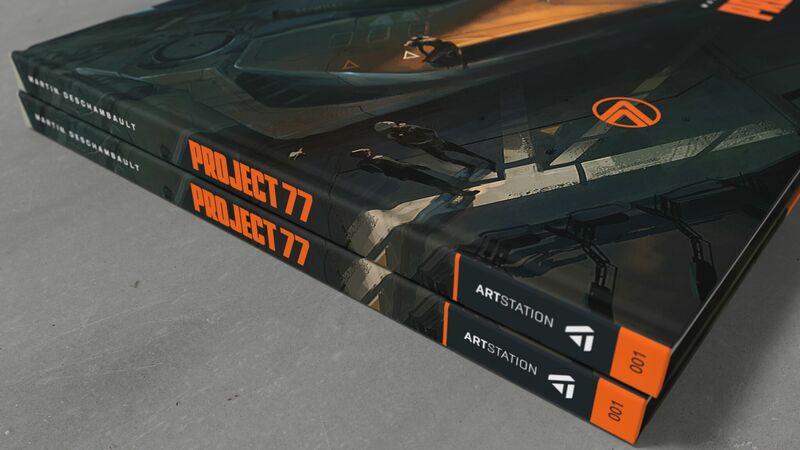 We can now officially announce that in a couple weeks, we’ll be launching ArtStation Media – the publishing component to ArtStation that aims to to further showcase artists in the Media & Entertainment community. You can now sign up for the ArtStation Media newsletter and be the first to receive all the latest updates. 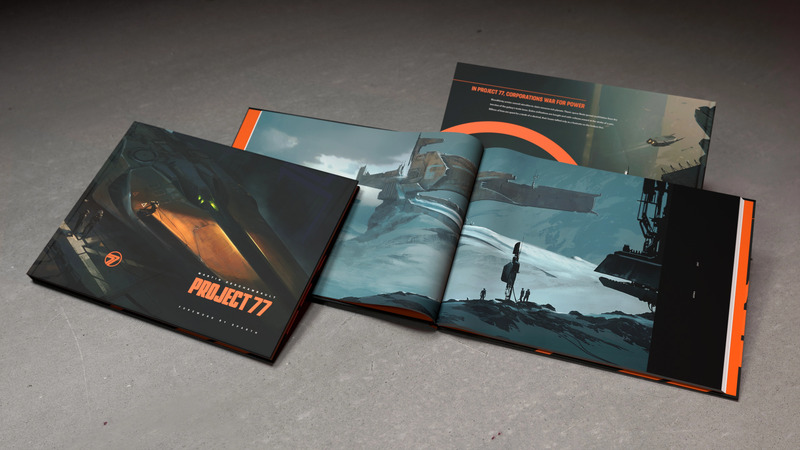 The first edition of high quality publications by ArtStation Media is an art book of Martin Deschambault‘s personal IP, Project 77. Fans of his already know that this book has been longtime coming. 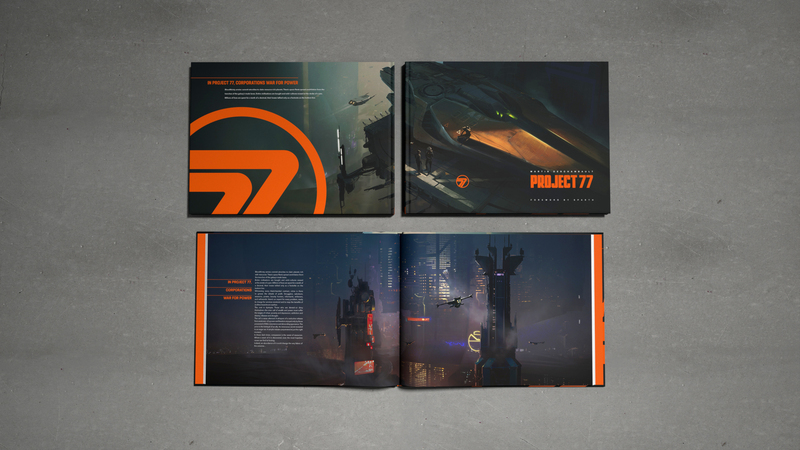 Deschambault, who works as a Senior Concept Artist at Ubisoft Montreal, has spent the past 7 years developing his fantastic dystopian sci-fi world – all to be unveiled now alongside short stories by Jeffrey Campbell that bring his illustrations to life and in-depth tutorials on his workflow. 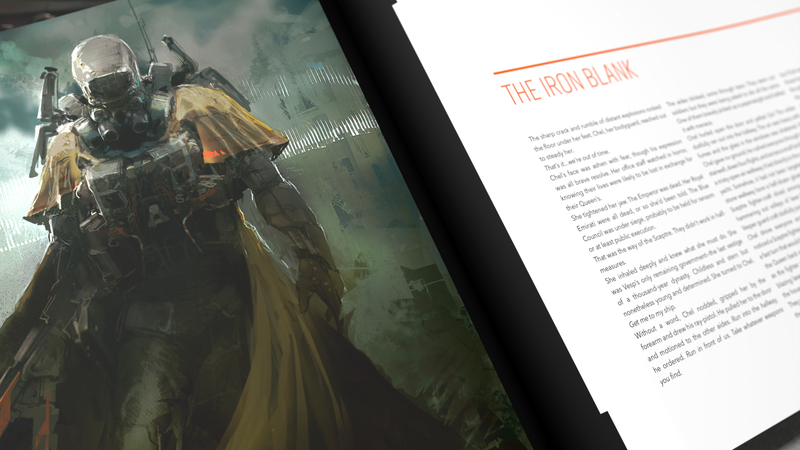 The first editions are being designed by celebrated presentation director Brent Ashe, with every page carefully crafted and designed to ensure every book is a collection worthy piece. 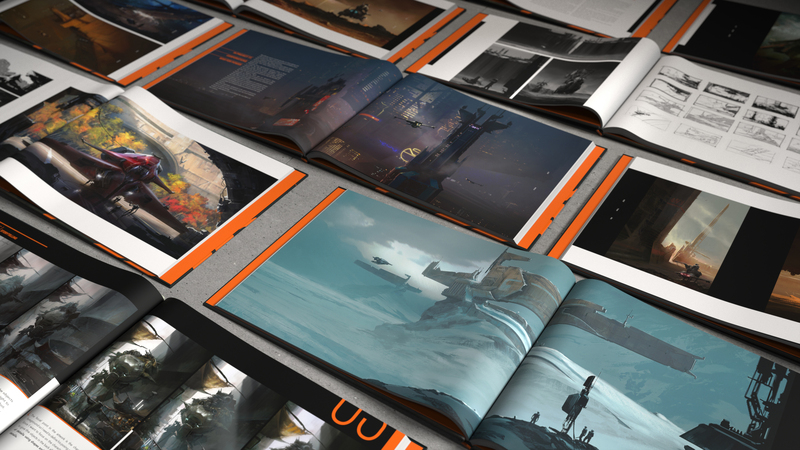 Subscribe to the ArtStation Media newsletter to receive updates related to our publications.